“Scientists are working to dramatically speed up the development of fusion energy in an effort to deliver power to the electric grid soon enough to help mitigate impacts of climate change. The arrival of a breakthrough technology—high-temperature superconductors, which can be used to build magnets that produce stronger magnetic fields than previously possible—could help them achieve this goal. Researchers plan to use this technology to build magnets at the scale required for fusion, followed by construction of what would be the world’s first fusion experiment to yield a net energy gain. The effort is a collaboration between Massachusetts Institute of Technology’s Plasma Science & Fusion Center and Commonwealth Fusion Systems, and they will present their work at the American Physical Society Division of Plasma Physics meeting in Portland, Ore. While originally in a form not useful for building magnets, researchers have now found ways to manufacture high-temperature superconductors in the form of “tapes” or “ribbons” that make magnets with unprecedented performance. The design of these magnets is not suited for fusion machines because they are much too small. 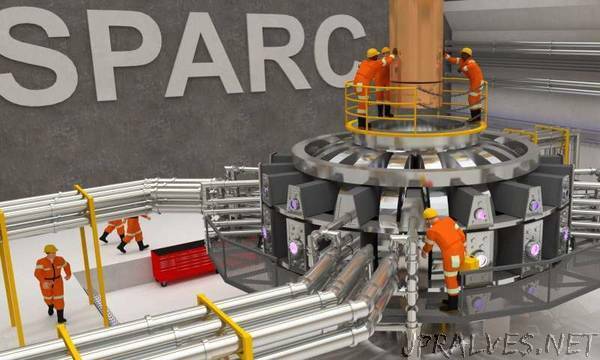 Before the new fusion device, called SPARC, can be built, the new superconductors must be incorporated into the kind of large, strong magnets needed for fusion.